Integreat Center is Dubai’s first holistic special needs center for young adults aged 16 to 25, offering programs in life skills development and vocational training. The three enterprising co-founders; Kiran Thakur, Ayukta Thakur and Nikita Patel conducted exhaustive research with often-frustrated parents, before conceptualizing Integreat Center - a professionally managed space that represents a safe, supportive and vibrant community for individuals with special needs and their families and friends. Ayukta, with an educational background rooted in teaching individuals with special needs, heard the same question from parents repeatedly – what further developmental opportunities existed for their young adult with special needs after the age of 18 here in Dubai? “2016 will mark the beginning of the center and currently we are facing overwhelming demand in terms of student enrollment enquiries as parents unfortunately do not have many alternatives. We hope to fill this gap,” she says. “We want to contribute to creating a more inclusive society by increasing awareness about the strengths and capabilities of young adults with special needs to be independent as well as active members of the workforce and society”. Not only is the Integreat Center fulfilling a vital need in the market, it will operate as a social enterprise where all profits are invested into the Integreat Scholarship Fund to provide need-based scholarships to families that require financial assistance. 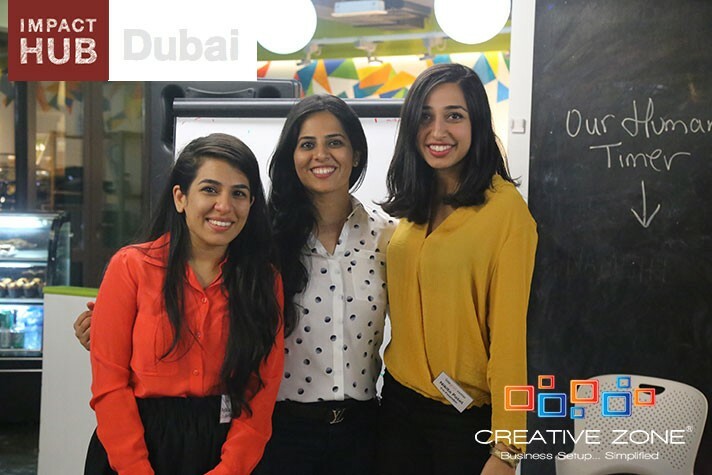 Integreat Center recently won CrowdFunDXB, a pitch/crowd-funding event organized by Impact Hub and held in their Downtown Dubai office. Ayukta emphasizes the importance of events like CrowdfunDXB in the Startup environment, allowing SMEs and entrepreneurs to talk about their venture to a wider audience and leverage on new opportunities for collaboration. “Not only did we gain monetary support, which will contribute to the Integreat Scholarship Fund, we received mentorship from CREATIVE ZONE which has been invaluable in terms of their network, leveraging their partner’s competencies in marketing and accounting, as well as helping with promotion and exposure,” Ayukta says. The founders of Integreat Center have certainly learned a number of invaluable lessons with the business startup process in Dubai.